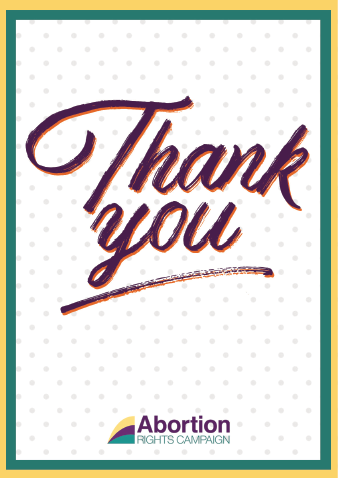 To coincide with World Health Day, the Abortion Rights Campaign (ARC) is launching a Thank You card for health professionals providing abortion in appreciation and support offor their work and their recognition of abortion as essential healthcare. ARC members nationwide will be sending out thank you cards to tell healthcare providers that members of their community support and thank them for delivering these services. Thank You for your campaign and for the great service and encouragement you are giving to the service providers at the coal face of this service. In South Africa it is over 20 years since abortion was legalized. But, to get a clinic to do abortion is not easy. Government hospitals and health centres make it extremely difficult for women who need this service get it easily. The news is full of mis-information about things like the abortion pill. They refer to it as “unsafe, illegal abortion pills” endangering women. Which is not true. This has left women very confused and vulnerable. Thank you for the service you are offering to women in your society It is difficult but someone has to do it. That is the only way women will be empowered and they will also remain safe.